In a statement, Festival officials Pierre Lescure and Thierry Fremaux praised Blanchett. They called her "a rare and unique artist whose talent and convictions enrich both screen and stage." I am humbled by the privilege and responsibility of presiding over this year's jury. This festival plays a pivotal role in bringing the world together to celebrate story, Blanchett said. 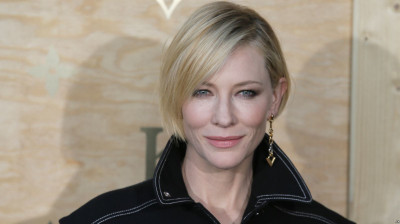 Blanchett won the 2014 best actress Oscar for her part in the movie "Blue Jasmine." Ten years earlier, she had won the Academy Award for best supporting actress in "The Aviator." Each year he is invited to preside over various bimo ceremonies by the Yi people from Lijiang, Ninglang and Jianchuan, and I accompany him. He or she will then show you how all these things, combined, play a role in choosing a career. He acted against his father's will. How many of you believe that there are meetings that take place without you? 5.She also was an early supporter of the women who accused Hollywood producer Harvey Weinstein of sexual wrongdoing. No, she objects to Picton's role as governor of Trinidad, where he was accused of brutality in his administration of the colony and its slave-based economy. In 2007, Zoe’s Ark, a French charity, was accused of kidnapping more than 100 children from Chad and Sudan for adoption in France.